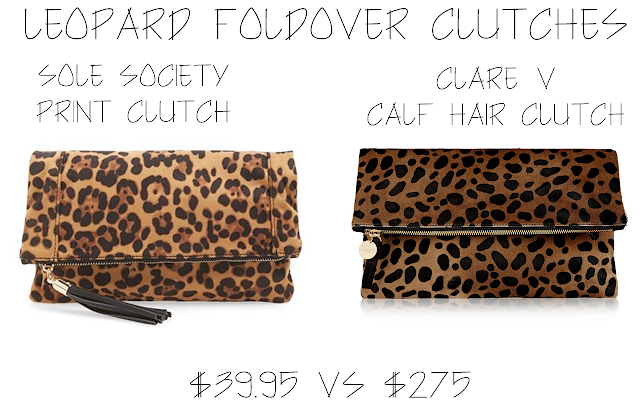 The leopard foldover clutch: everybody has one and if you don't, then you're on the hunt for one. I remember the first time I saw this gorgeous bag featured in another blogger's outfit post. I thought it was the most amazing bag I'd ever seen in my entire life and I HAD TO HAVE IT. I quickly clicked on the link, like most people, and was taken aback at the price. The most popular leopard clutch is from Clare Vivier and retails for a lofty $275! As I do with most items I searched for a cheaper, but still stylish, alternative. 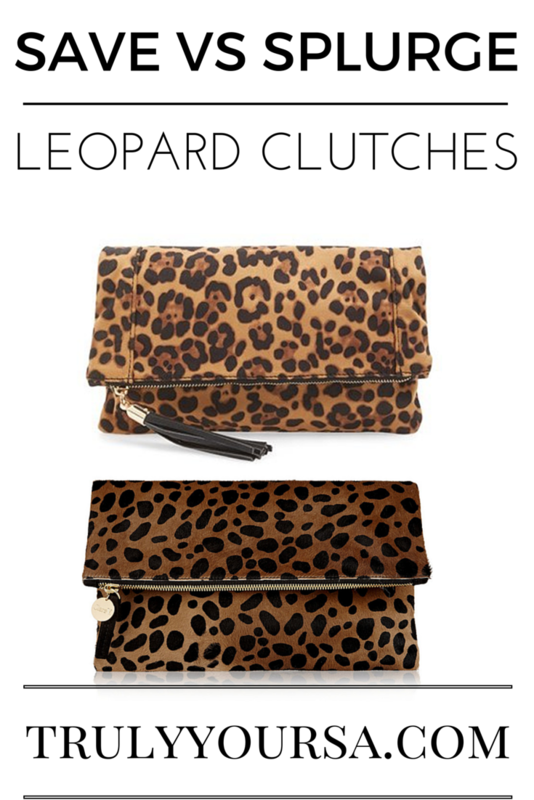 Luckily, I stumbled across this printed leopard fold over clutch from Sole Society. Continue reading to see the pros and cons of both bags and decide if you'll save or splurge! The verdict: My pick is...both! Life is short, buy the handbag! Either one of these bags would make a great statement piece or pop of pattern for any outfit. 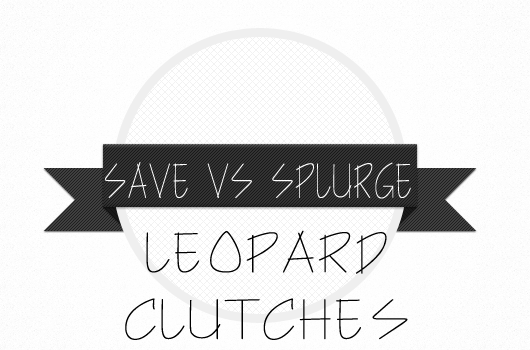 If you think the leopard clutch fad is just that, a fad, then the Sole Society version may be for you. If you're worried about the wear-and-tear on your bag then I would also go with the Sole Society bag. The fun tassel on the zipper is on trend and adds a touch of flair. Even though there's a difference of over $200, the Sole Society bag is just as good an investment as the Clare V version. The Clare V bag is made from quality materials which equals long-term investment. This bag will last and be by your side for as long as you let it. There's nothing but pros for both bags so have fun choosing which one to add to your closet! If you have any items you'd like to see compared let me know in the comments below. Have a great weekend!